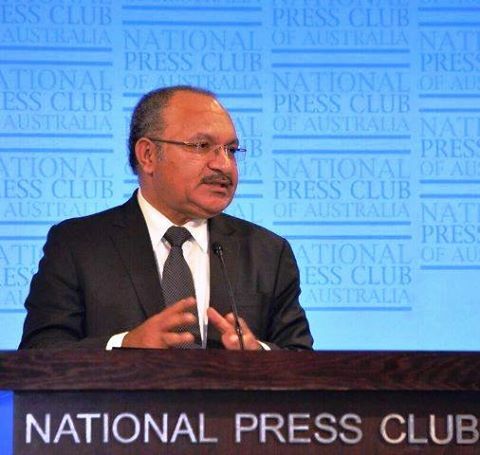 Papua New Guinea Prime Minister Peter O’Neill says his Government has some issues with the Pacer-Plus agreement among Pacific island nations. “We see that these issues are core to the national interest of Papua New Guinea because of the unique position of our economy,” he said. He was speaking at the Australia-Papua New Guinea Business Forum and Trade Expo in Cairns, Australia. “Clearly in terms of our size, we differ greatly from our smaller Pacific Island partners, and our relationship with the Asian economies encourages us to take a different approach,” he said. “Papua New Guinea is more interested in pursuing a bilateral agreement with Australia that will serve our mutual trade interests well, as opposed to the proposed agreement that would have a negative impact on our trade arrangements between our two countries. “The Trade Minister and his officials said they would peruse trade agreements with Australia and with New Zealand that are similar in nature to the agreement that PNG has with the European Union. “Through that agreement with the European Union, the Economic Partnership Agreement, PNG’s exports to that market have doubled.